Embarking on a new construction project for any worship facility is a tremendous undertaking. Often, the process involves developing a consensus from a broad cross-section of the congregation, raising funds through a building campaign, as well as locating a site that is both affordable and convenient for existing members. These challenges are even more daunting in today’s difficult economic climate. As such, building program leaders are seeking construction methods that offer long-term durability as a way of reducing the impact to the operating budget. Site cast Tilt-Up – a construction method in which concrete wall panels are cast on-site and tilted into place – has proven attributes of durability and low maintenance costs while lending to inspiring architectural designs. Design and construction of religious facilities requires a delicate balance of speed, economy and creativity. 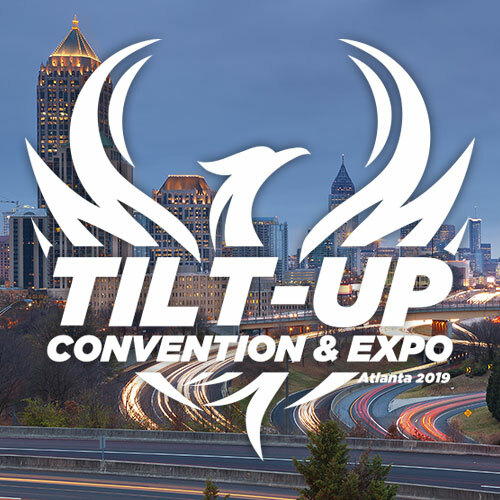 Tilt-Up has met this challenge through its ability to provide architectural freedom, durability and security, as well as efficient and cost-effective solutions for today’s religious institutions. The new 28,768-square-foot St. Clare Catholic Church in O’Fallon, Ill., (shown above) was created to provide a feeling of “timelessness” through a connection to Assisi, Italy and St. Clare’s history, all while providing a contemporary building and achieving design performance standards. This facility is the first in a multi-phase master plan, so its form, proportions, materials, patterns, textures and design elements will set the tone for all future parish facilities. The church creates a strong visual impact using a combination of rock-faced and smooth CMU veneers, precast concrete arches and lintels, aluminum windows and heavy-laminated, terra-cotta-colored asphalt shingles. The building also features a large entry portal, designed to accommodate large liturgical processions, and 13-foot-tall, unique mahogany doors. Masonry and precast concrete details carry into the church interior, which is filled with natural light from clerestory windows that highlight the space’s exposed glulam structure and decking. The polished concrete floor of the church complements the stained wood pews and stone tile details in the sanctuary. The high central ceiling above the Sanctuary is painted blue as a reflection of historical Catholic churches in Europe, with dimmable custom pendant lighting that was designed to up-light the structure and blue ceiling while giving the sense of individually lit candles. The design team was able to create a column-free structural system that allows for favorable sightlines from any pew, superior acoustical design for music and the spoken word, as well as a “tomb”- shaped Baptistery that can accommodate full-immersion baptisms. This religious facility provides classical reverent space, while showcasing an innovative application of the Tilt-Up method. At the north end of the building, the use of 10-foot wide panels, which were stitched together and field cut to create a 16-foot wide opening, replaced the originally called for 20-foot wide panels. The overall look was still achieved, but with less equipment constraints. By substituting steel braced frames with concrete Tilt-Up walls, the contractor, The Korte Company of Highland, III., was able to save money and eliminate the need for 70-foot scaffolding during construction. Despite structural and architectural challenges, this project delivered for the needs of the client as well as the community. Built to meet the needs of the growing congregation at Valley Creek Church (shown above) in Flower Mound, Texas, the expansion houses youth worship areas, a nursery and adult education classrooms. Fenestrations incorporated into the design allow for natural light to illuminate the two large double-volume worship areas, and the oversized circular windows allow the adult education and the youth areas (on the second floor) to take advantage of views and natural light, while the nursery is tucked under with smaller openings to shade and protect. This 23,105-square-foot expansion complements the existing 41,586-square-foot facility in that it distinguishes the old from new with the use of innovative, cost-effective materials and techniques from Tilt-Up, and continues the exterior stone banding of the existing structure. 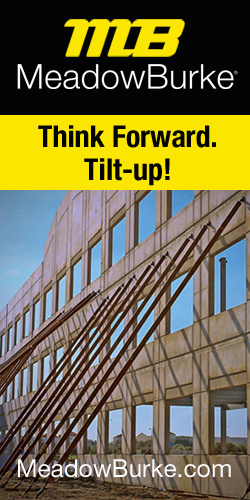 Tilt-Up construction was used in lieu of a metal building structure (which was used for the original church) for its durability, strength, construction schedule advantages and cost. Designed with a gentle curve, the structure provides spatial interest, while playful elevations with large geometric shapes draw the attention of the passer-by. In addition, reveals and recessed areas were used to express the curvature of the design and symbolic cross and to blend the original church to its new addition. The architect enhanced “highway presence” and community recognition, while incorporating religious symbolism by using a combination of concrete, stone, steel and glass materials. Religious facilities are important to maintaining a strong community. Offering the attributes of durability, long-term value and aesthetics, Tilt-Up construction appeals to the sense of value and fiscal accountability required to manage a religious institution. Further, the inherent excitement that surrounds the lifting of Tilt-Up panels is something that the entire congregation can enjoy.